The Fitbit Flex has just launched itself into the fitness tech arena but it looks like Nike is snapping at its heels, gearing up for the release of its second generation FuelBand. GearLive reports that the next wristband, which Nike is supposedly testing out in the wild, will include a heart rate monitor, which will be a welcome addition for fitness fans. Another rumoured new feature concerns how the device will use accelerometer data. Developers will be able to integrate this data into apps in real time, which could open the door for motion-controlled features down the road. It will also have faster LEDs for a more responsive interface, Bluetooth 4.0 support, and the ability to check the battery life directly on the device. 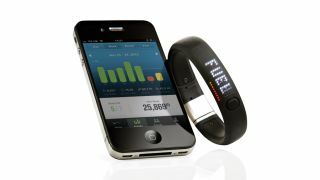 Plus, it's reported that a FuelBand Android app is still in development, regardless of what Nike has said in the past. No word on when we might see the new Nike+ FuelBand announced officially. But with the Fitbit Flex now offering itself as an appealing alternative to fitness aficionados, Nike will no doubt be wanting to pick up the pace as soon as possible.